Are you in need of another activity, it can be an experience to take the local taxi from the main road in Mae Phim and go into Rayong. It is both fun and a different way of travelling. 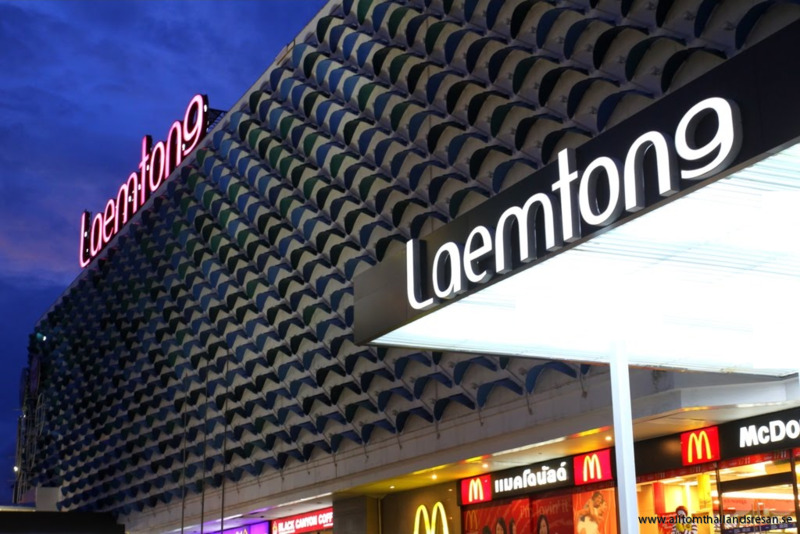 The best shopping you will find inside the Rayong and it is undoubtedly LaemTong that offers the best shopping. It is a shopping centre that have everything. Here you will also find McDonalds and other western restaurants. There is also plenty of shops of all kinds, clothing, watches and shoes, and the prices are low. 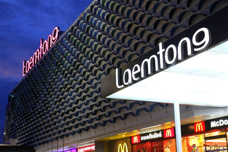 Should you buy clothes on LaemTong in Rayong the offering is limited if you need larger sizes. 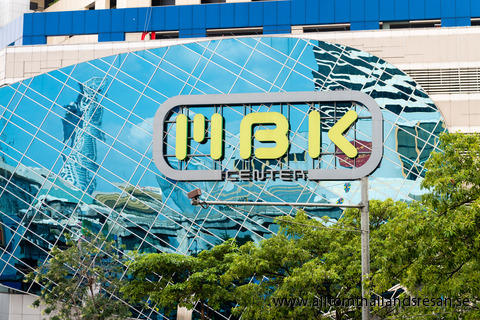 Are you looking for brand copies, Rayong is not the ultimate place. Then you have to go the remaining 5 kilometres to Pattaya where the range is enormous in all the shopping. Or why not finish a couple of days of your holiday to go up to Bangkok for a final shopping spree. 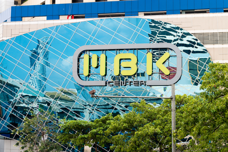 In Bangkok MBK shopping is best known, but Bangkok also offers a complete shopping district containing copies of all kind. Prices in Thailand is a third of the prices that we are used to at home. So you crave at shop cheaply, just go ahead and plan for the purchases that you had in mind and go ahead and search. Shopping in the area around Mae Phim is highly limited. Mae Phim brings sun, sand, relaxation and fine dining. If you want to shop, there is a few shops selling souvenirs in the form of wind chimes made ​​of seashells. In Mae Phim, you can buy bath toys from the classic toy car going back and forth on the street. There are several mini mart along the beach road in Mae Phim which one of them is very well stocked where you can buy everything from Needles to large water bottles. Shopping in Ban Phe is not anything we recommend, most of the shops offer you the traditional draperies of seashells that you find on every street corner. There are several mini-mart and grocery stores, among others you will find Tesco in Ban Phe. Also Petra's business that is well-stocked with both dishwasher powder, wine and good charcuteries. In Ban Phe you will also find some clothing shops along the main road. You will find plenty of dried fish products, you will also find fresh shrimps to organize your own prawnfeast.